Greentube, a developer and provider of i-gaming solutions, and the Prairie Island Indian Community, a federally-recognised Indian tribe, have partnered to create a custom social casino platform for the tribe’s Minnesota-based property, Treasure Island Resort and Casino. Treasure Island will be among the first casinos in Minnesota to launch a digital gaming platform with a range of slot and gaming offerings comparable to its bricks-and-mortar establishment. 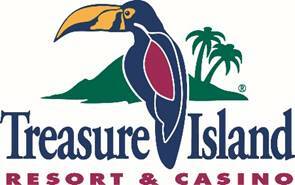 “Online gaming has exploded in recent years so it’s a natural shift for Treasure Island Resort and Casino to extend our games to guests outside of the walls of our casino,” said Shelley Buck, Prairie Island Tribal Council president. The social platform, which is expected to go live during the first quarter of 2017, will be powered by Greentube Pro. “The Prairie Island Indian Community and Greentube share values focused on innovation and customer experience,” said Gabriel Cianchetto, president of market development for Greentube North America.